Victor Zupanc*, born in Victoria, British Columbia, Canada began his musical career studying violin and piano at the age of six at the Royal Conservatory of Music in Victoria, British Columbia. 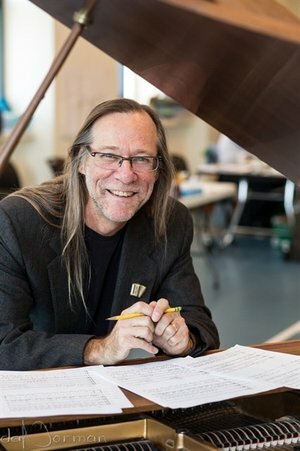 After receiving his Bachelor of Music Degree at the University of Victoria he went on to earn his Masters Degree in Music Composition at the University of California at San Diego in 1983. Since then Victor has been one of the most prolific theater artists in America involved in nearly 300 theatrical productions as composer, musical director, sound designer and performer. He has worked at some of the most respected theaters in America including, in New York, The Brooklyn Academy of Music, SITI Company, Playwrights Horizon, The Joyce Theater, The Acting Company and The New Victory Theater; in Minneapolis, The Guthrie Theater, Theatre de la Jeune Lune and The Mixed Blood Theater, as well as The San Diego Repertory Theatre, The La Jolla Playhouse, The Missouri Rep, The Berkeley Rep and The Kennedy Center among many others. His music has been heard abroad in China, Japan, South America, Great Britain, Australia, New Zealand and Canada. Artists that Victor Zupanc has worked with include Charles Randolph Wright, Bill Irwin, Anne Bogart, Des McAnuff, Marion McClinton, Tony Taccone, Robert Woodruff, Peter Brosius, Kevin Kling, Stephen Sondheim, Randy Newman and David Byrne.